Kevin Doyle, LPC, LSATP established his private practice in 2008 after 22 years working full-time in addiction treatment. He specializes in working with professionals (health care, lawyers, etc.) and is an approved provider for the Virginia Health Practitioners Monitoring Program (VA-HPMP), as well as with young people (college students and young adults), particularly those in early recovery or making transitions in recovery and/or education, including student-athletes. In his full-time work, Doyle serves as an Associate Professor in the Counselor Education program at Longwood University. Previously he was the the Vice-President and Director of Enhancement for Phoenix House of the Mid-Atlantic (formerly Vanguard Services Unlimited), a non–profit, substance abuse treatment agency based in Arlington (Va.). He has also been an adjunct professor at the University of Virginia, where he taught in the College of Arts and Sciences and at the Curry School of Education. 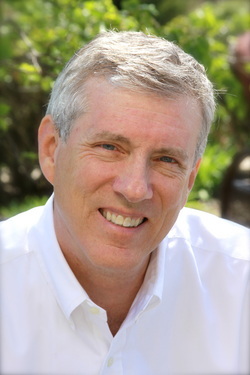 In 2013, Doyle founded the "Longwood Recovers" program for students, faculty, and staff in recovery from substance abuse and addiction, and previously, in 2007, he facilitated the founding of “Hoos in Recovery,” a support network over 60 strong for students, faculty, and staff in recovery from alcoholism or other addictions at the University of Virginia. Doyle served as Project Director for Vanguard’s CSAT grant to improve treatment access and retention from 2003-2007 as part of the national Network for the Improvement of Addiction Treatment (NIATx). He received his doctorate in Counselor Education from the University of Virginia in 1999 and is licensed as both a Professional Counselor and a Substance Abuse Treatment Practitioner (LSATP) in Virginia. In 2002, he was appointed by Governor Mark Warner to the Commonwealth of Virginia’s Board of Counseling, and served as Chair of the Board from 2005-2007. He was reappointed to the Board by Governor Terry McAuliffe in 2017 and by Governor Robert McDonnell in 2013, and is currently serving a second term as Chair. He is a Past-President of the Virginia Association of Alcoholism and Drug Abuse Counselors (VAADAC), and a past Chair of the Ethics Committee of the International Association of Addictions and Offender Counselors (IAAOC). Dr. Doyle received his Ed.D. in Counselor Education from the University of Virginia in 1999. He has over 30 years of experience working in the addiction treatment field, in residential, outpatient, inpatient, and private practice settings. His professional interests include counseling ethics, the recovering college student, recovery advocacy, and adolescents. He has presented at numerous local, regional, state, national, and international conferences. Doyle has published several articles in refereed journals and trade publications, primarily focusing on the professional interests noted above, and has served as an editorial board member for the Journal of Addictions and Offender Counseling and for the Virginia Counselors Journal. He lives in Charlottesville with his family.